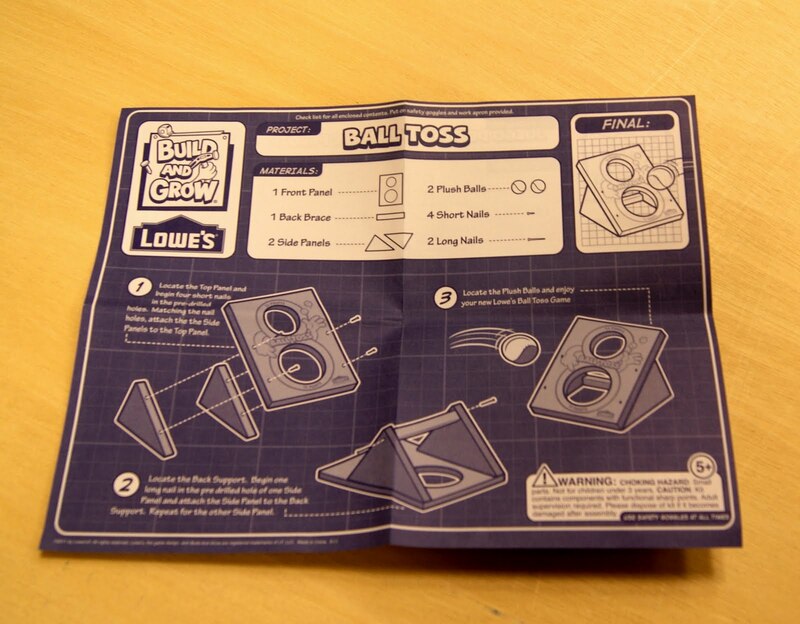 Lowe*s hosted another workshop, this time it was a ball toss game. 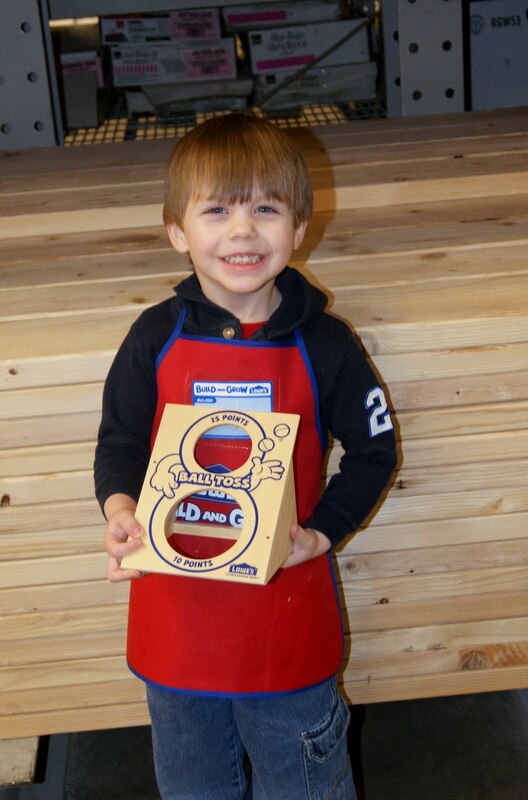 This time it was simple enough, that Mikey knew how it went together...who needs blue prints? He is getting really good with the hammer...watch your fingers Daddy! Mikey and his new ball toss game. 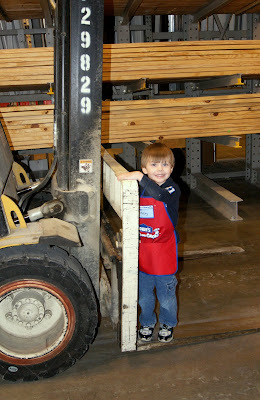 Yes, my son is standing on a fork lift...shhhh, don't tell the store! 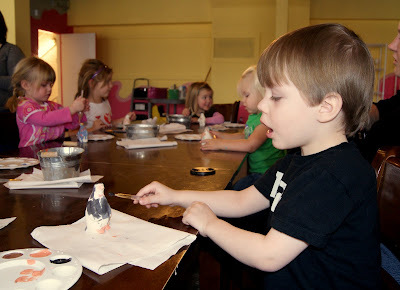 Your Pot*s Desire, hosted an event for preschoolers on MLK Day! 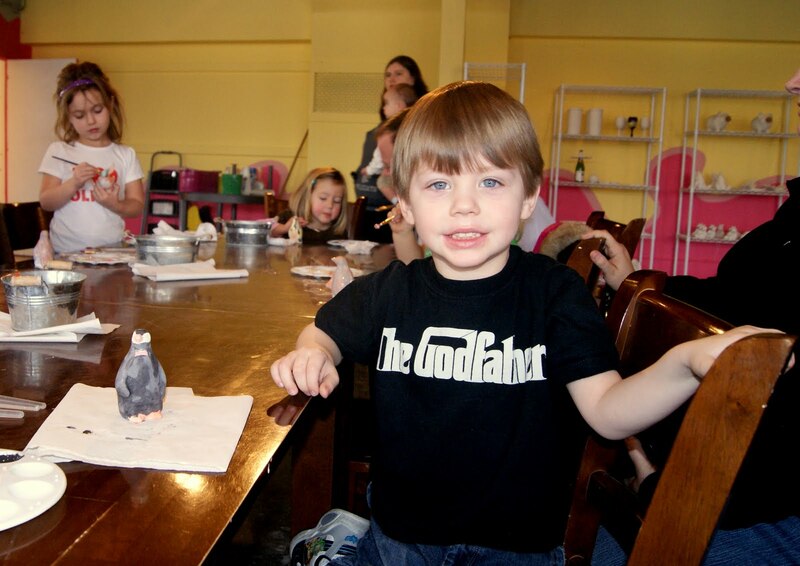 Story Time and Painting, sounded like a great way to have some Mikey and Mommy time! 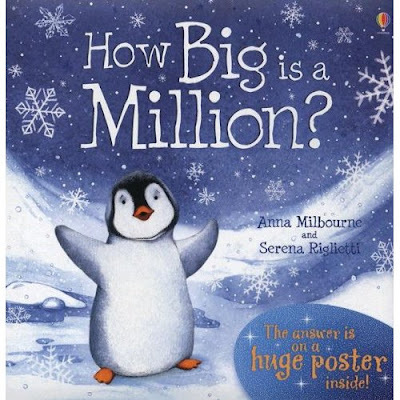 "How Big is a Million?" 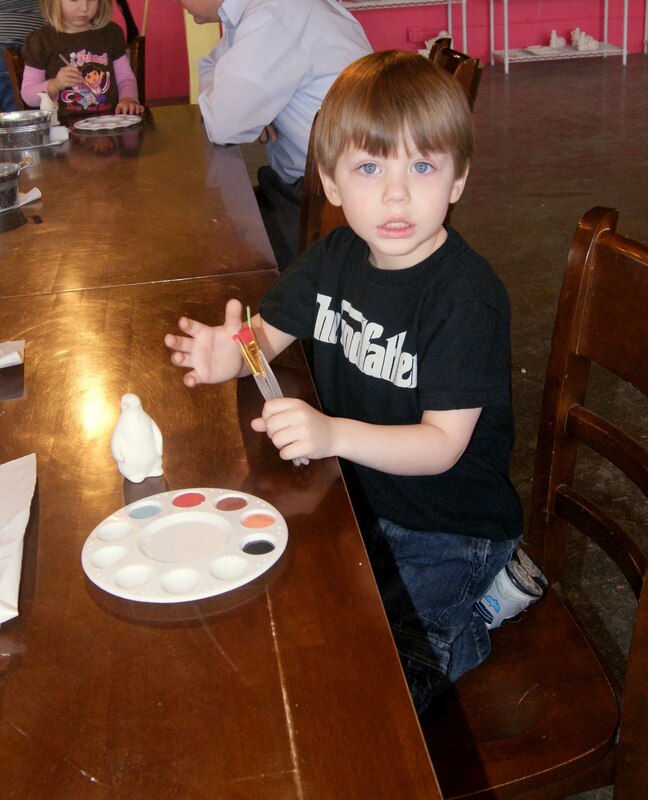 Mikey with his penguin, paint, and brushes. 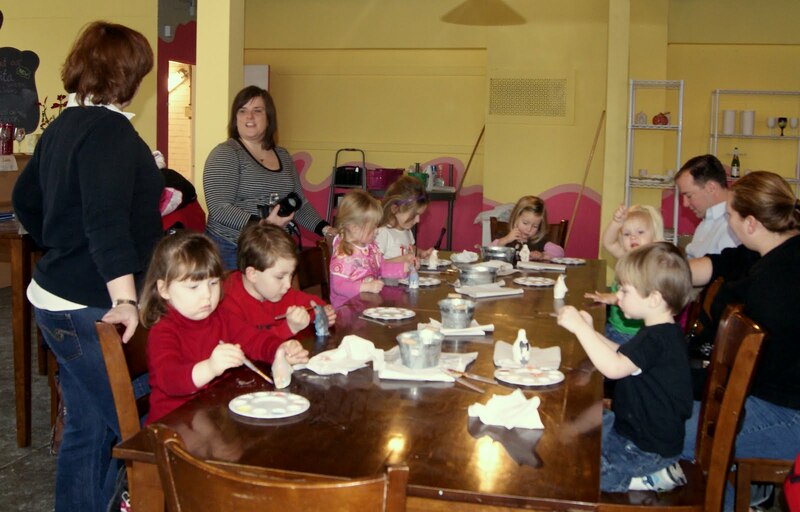 Meghan, Ernie, Olivia, Chloe, Claire, Caelyn, and Mikey... painting their masterpieces. 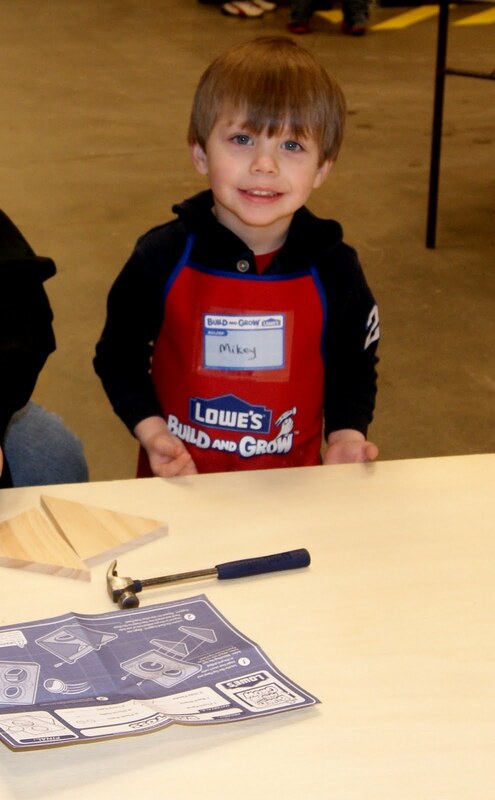 Mikey was very meticulous when painting, he seriously had a game plan! "The feet are first, then the nose... and the back is black." 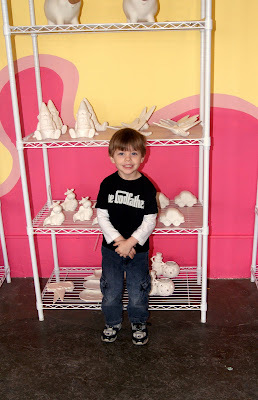 Mikey and his painted penguin! 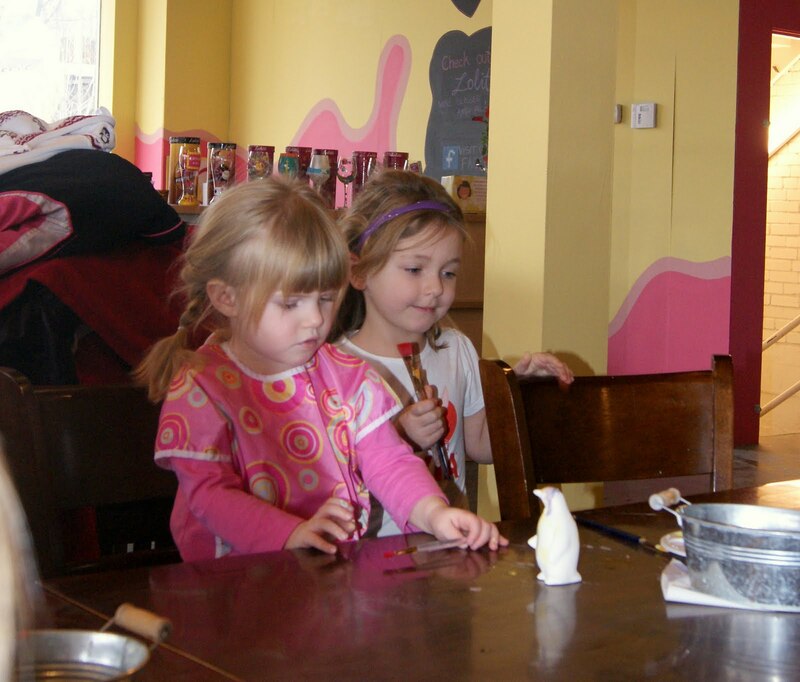 Chloe and Caelyn putting the finishing touches on their penguins. Caelyn, Chloe, Mikey, Meghan, and Ernie ...Livi was there too! 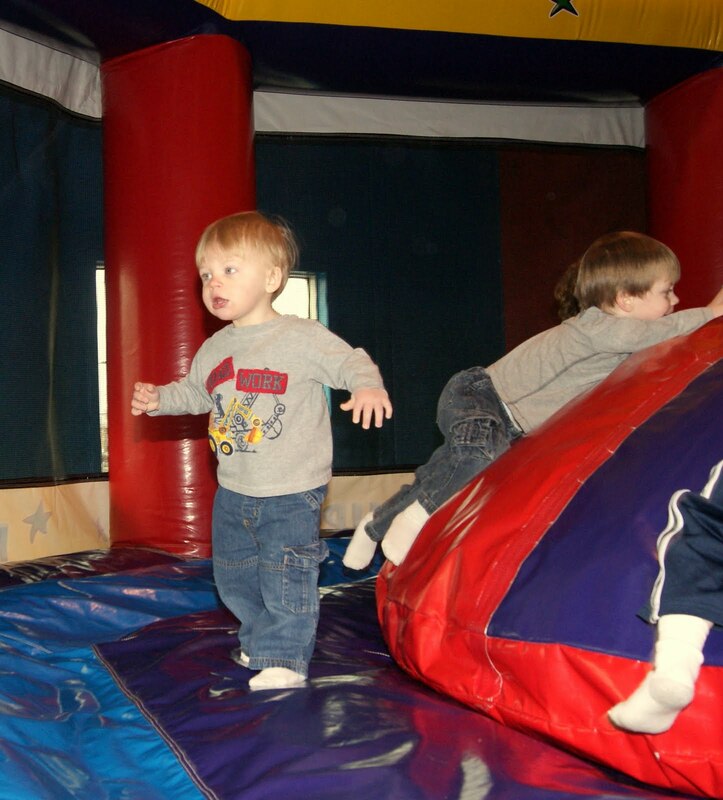 Mikey and Mason were so happy about Keegan's 3rd birthday party at Pump It* Up! They both had been asking all week if it was party day! 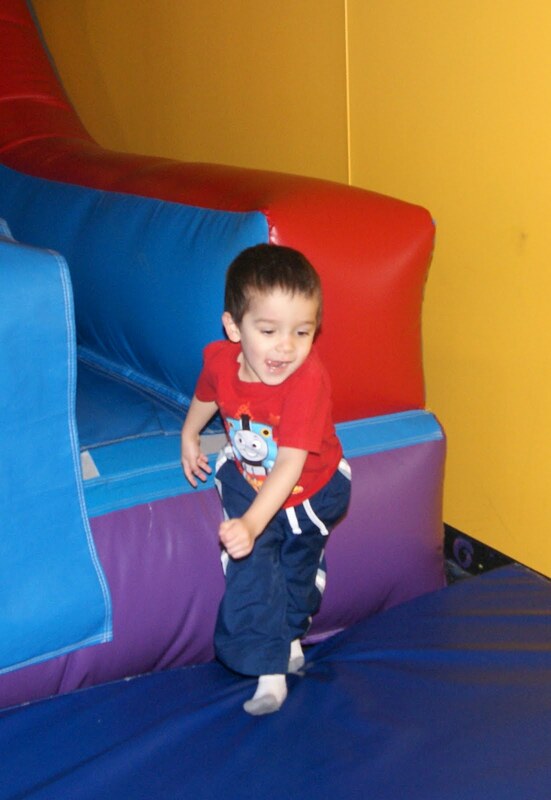 Ryan wasn't too steady on his feet, he couldn't figure out way the floor kept moving. 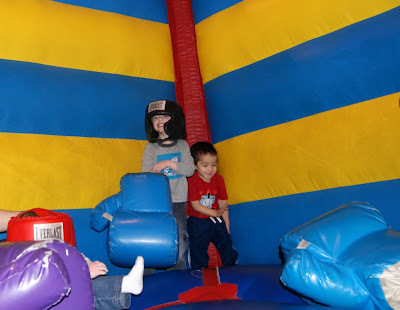 Keegan and Mikey, in the ring...can you say knock out? 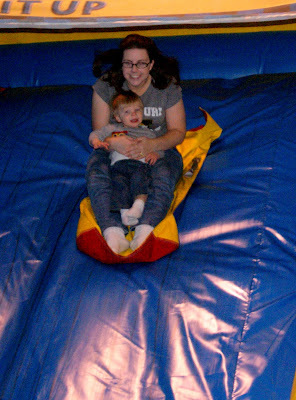 Mommy and Ryan...my dismount was hilarious...literally slide sideways, and over the backstop! Oops! 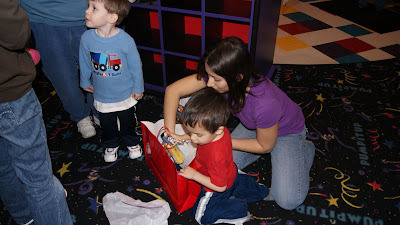 Isabelle and Keegan...he was so excited to open the Thomas trains! 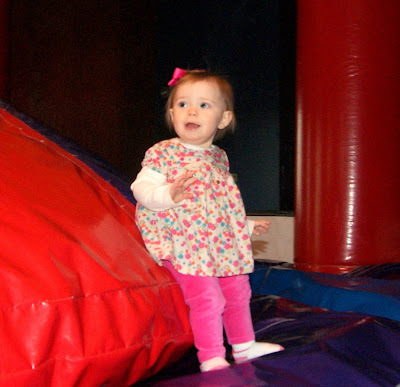 Madisyn Fuller turned 1, on Christmas Day, but today was her party! 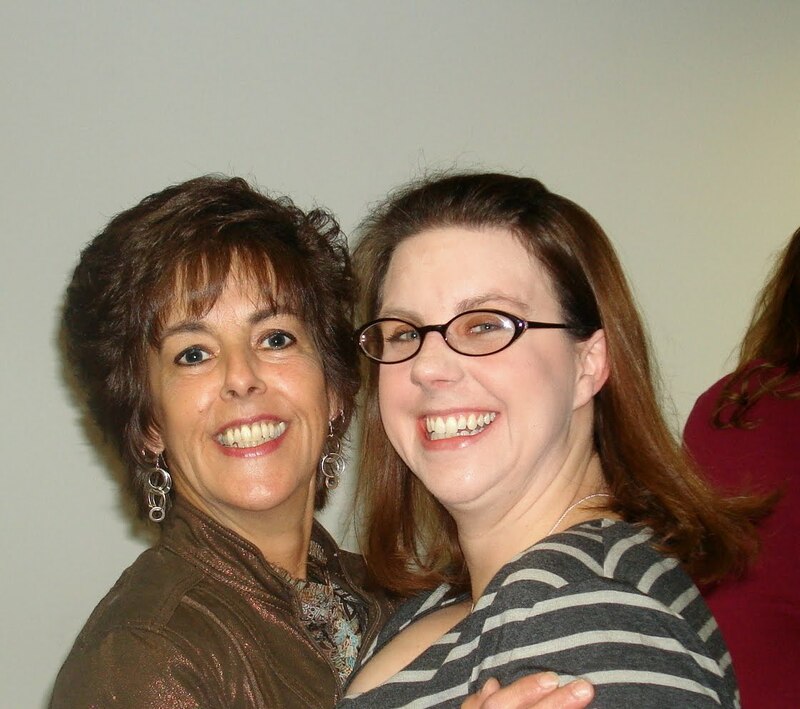 She greeted all of her guests at the door, via her walker! Mikey and his best buddy, Mason! Ryan, showing Madisyn his party hat. 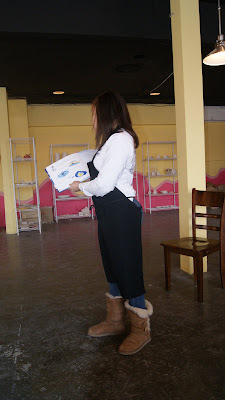 Dora cake, cup cakes, and backpack favor bags! Yes, that is a mini cake, with deep purple frosting! Ryan loved the bean bag toss game. 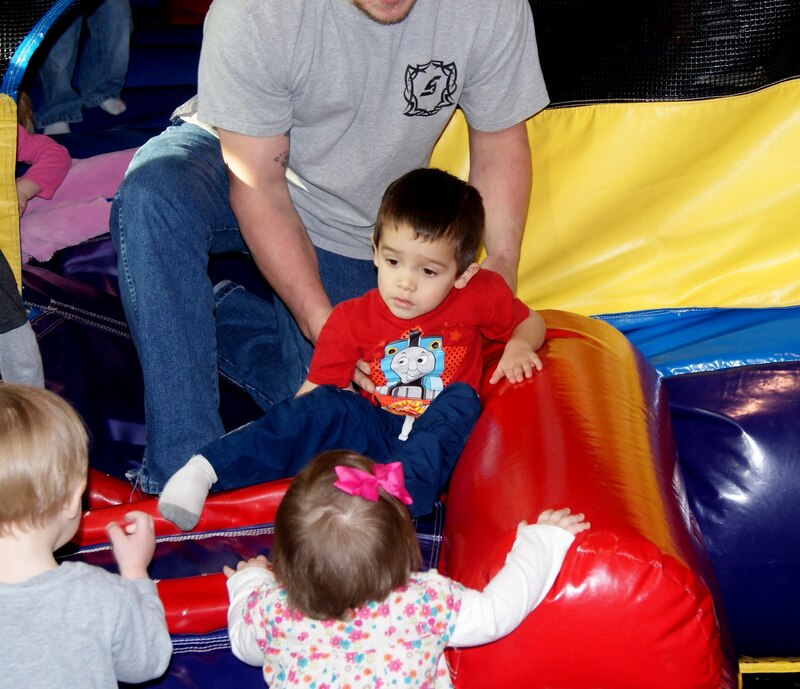 Then there was a Dora pinata! Ryan pulled the very last string, and it was the one that let all of the candy out! He loved it, and started clapping! Mason and Mikey watching Madisyn open her gifts. 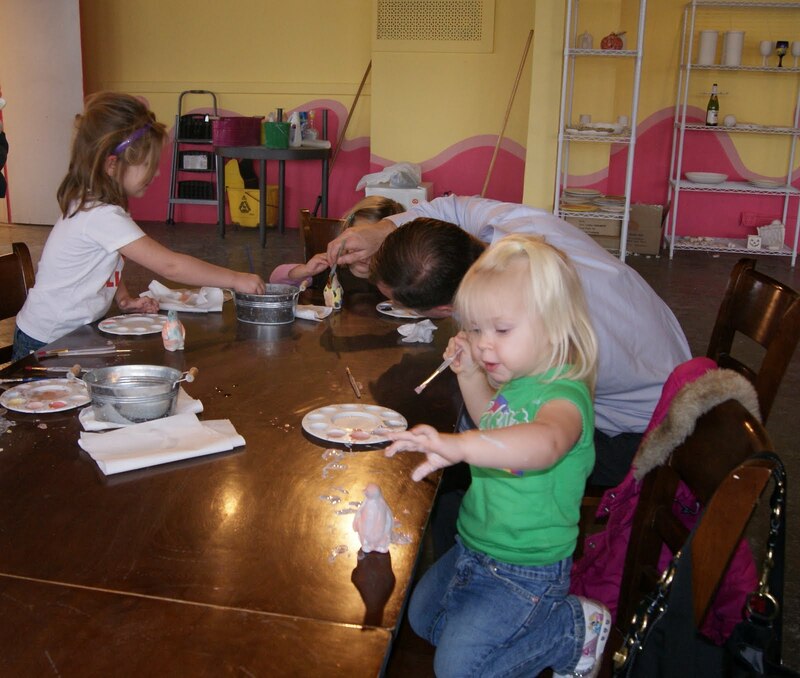 Madisyn loved her cake! The purple frosting was every where! 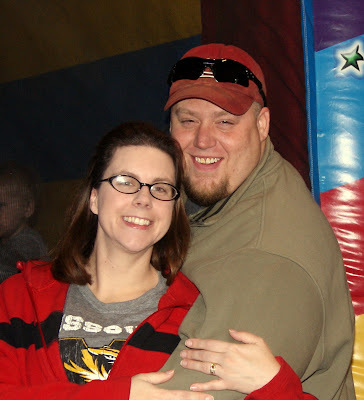 ***Thank you to the Fuller's for a fun party! 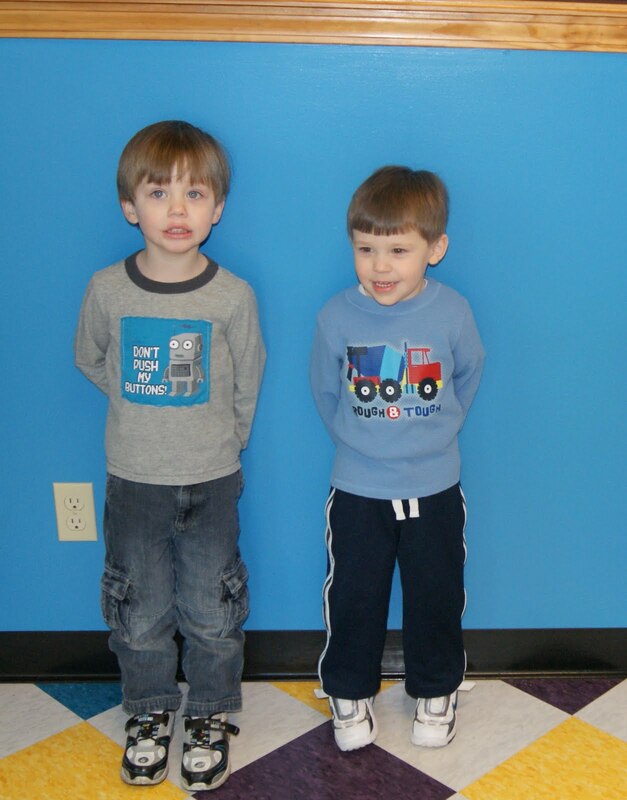 Mikey and Ryan loved their favor bags! 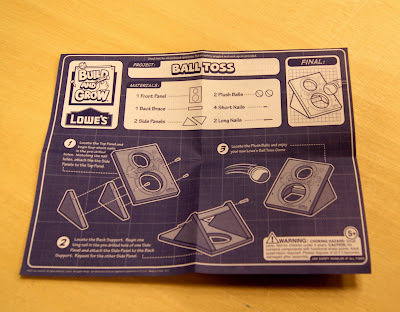 Lowe*s hosted another workshop, this time the project was a game box. 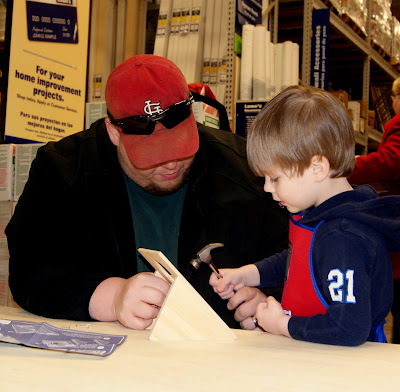 Mikey and Daddy reading the blue prints. 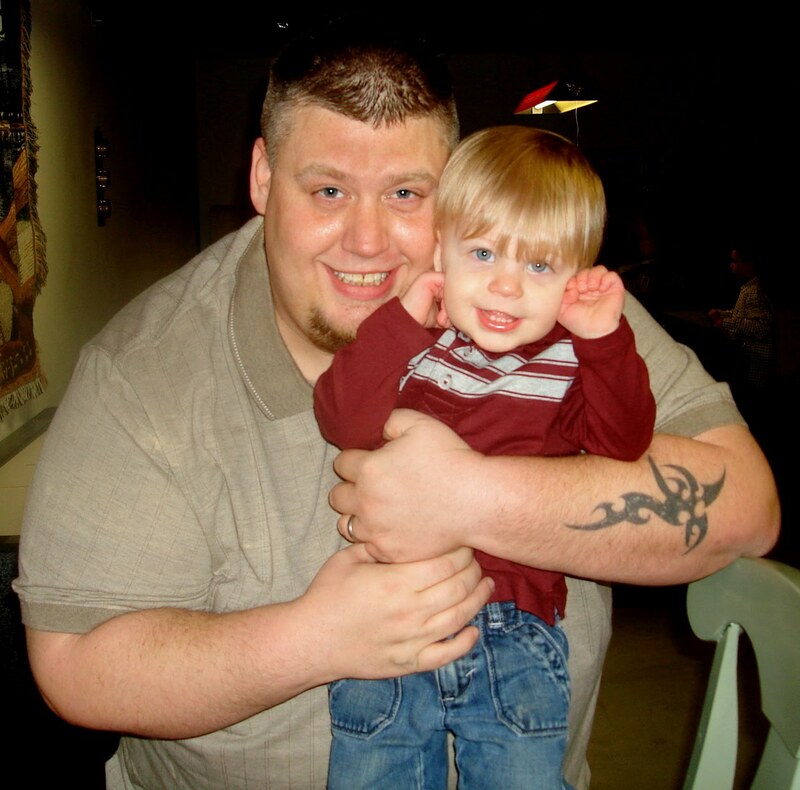 Daddy handing Mikey the tiny little nails. Mikey, "The Hammer Guy" as he is now calling himself. Mikey and his completed project! What are we going to look at this time Daddy? 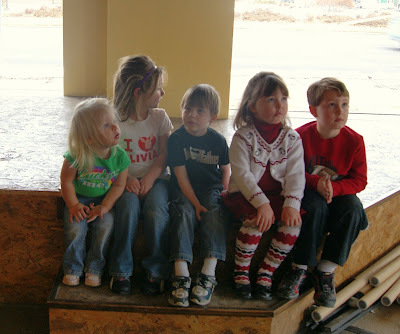 Mikey was so, excited to sit on a green John Deer tractor. 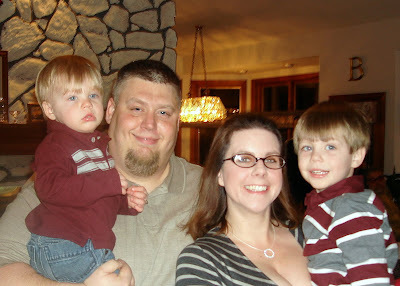 Uncle John and Aunt Linda hosted New Years Day, once again this year! 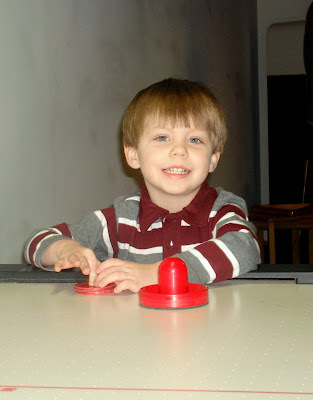 Mikey loved the air hockey game! 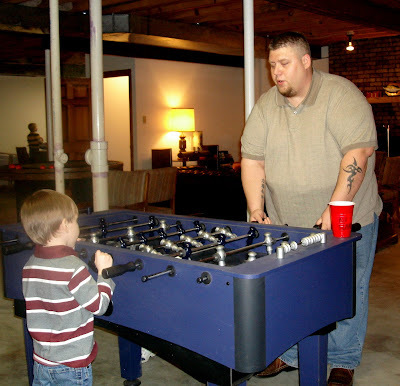 Daddy tried to teach Mikey how to play table soccer...it was just a little too big! 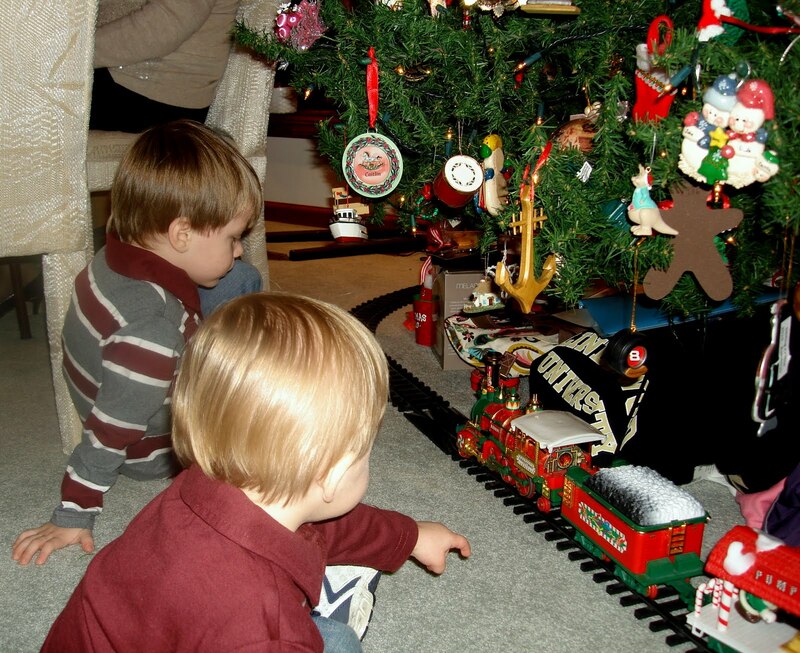 The boys feel in love with Linda's train! 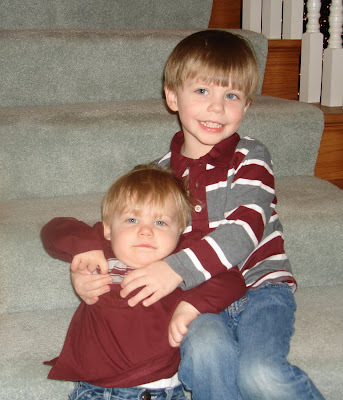 Mommy's attempt at a photo of Ryan and Mikey together...guess who did NOT want his picture taken!